Redefining Schools of the Future! 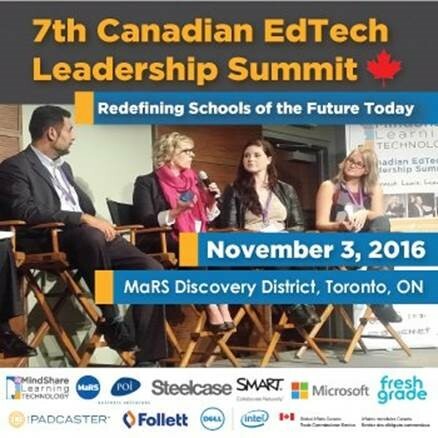 Join fellow education and industry leaders for this premier one-day 7th national EdTech Leadership Summit! Gain valuable insight from leading experts, forge strategic partnerships and explore best practices in the use of ICT in redefining tomorrow’s classrooms to support student success in the 21st Century Global knowledge-based economy. Visit the website to view speaker line-up, agenda.